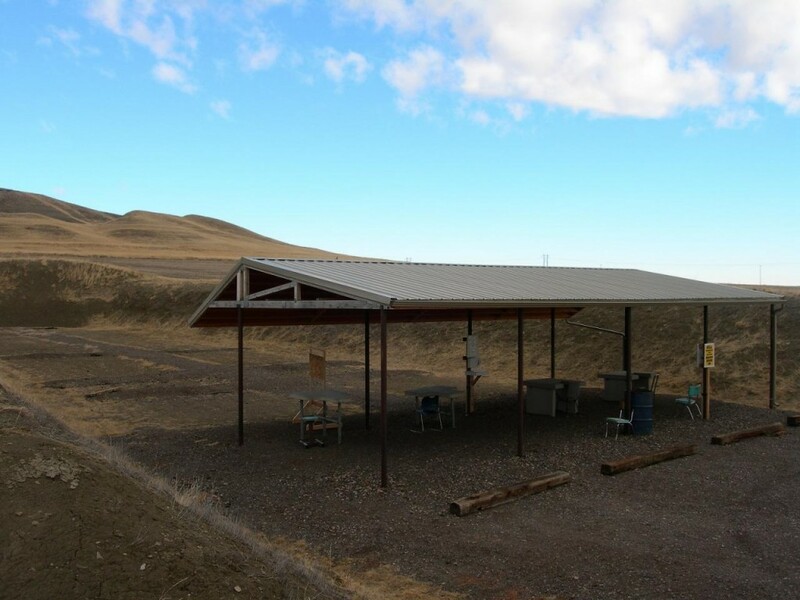 The 50 yard range, commonly called the plinking range, was constructed in 2005. The firing line cover was added in 2009. 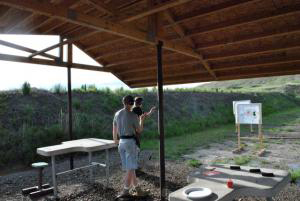 The range is restricted to handguns and rimfire rifles–no center fire rifles or shotguns. Target stands can be found in the shed to the left of the range, between the 200 and 50 yard range near the flag pole. If you are the first to arrive at the range, you should also find the flag in the mailbox attached to the flagpole. The target stands are located in the shed, between the 50 and 200 yard ranges. The stands can be placed anywhere on the 50 yard range, and then your targets can be affixed to the backers.